I will list any GENUINE vacancy at no cost. I will NOT list MLM programmes, money games or similar. I will NOT list any position that requires you to pay to register or apply. Native Finnish Tele-Marketer position / No cold calling! Making viewing appointments for our agents / Only dealing with Finnish clients. You will be supporting the editorial director at managing the quality of the GetApp marketplace content, as well as coordinating and implementing specific actions that will ensure the success of the campaigns of our advertisers. You must be a detail-oriented native English speaker, a flawless and SEO-minded writer, who is able to interact with high-profile business software providers and to strategize and prioritize daily and weekly activities. Two years ago my boss developed unique mobile application. And even we are StartUP and small company, the Czech market is not big enough for us already. That is why we are looking for somebody, who will help us to develop our business in Spain. Business-savvy person can become successful very soon, like we did in the Czech Republic. Spain market is huge and I am sure, that this person can build the team of people, who will help her/him develop the business of Cool Ticketing. After that, his/her task will be to lead the team, teach them…Or, it can be only one man show with all the profit from Spain market. We prefere full time, but part time is ok as well. Please check out our website (bellow), it will tell you more about what we are focused on. www.cool-ticketing.com is for promoters and www.cool-ticket.info is for users. Bring sunshine to our customers! Are you able to make every day bright for our customers? If so, you could be the ideal Overseas Representative for our Jet2holidays Team! Reporting to our in resort management team, you’ll deliver an exceptionally friendly and trustworthy service throughout our customers stay to ensure they have an excellent and memorable holiday. Already living in the destination and a driver, you’ll know it inside out and speak the local language confidently, as well as being a fluent English speaker. Delivering a great experience to our customers will help to ensure they come back to us time and time again. In return for delighting our customers, we offer a competitive salary and benefits package combined with excellent opportunities for progression in a growing business. ACE OF SHADES offer Glass Curtains, Awnings, Interior/Exterior Blinds, Security Shutters, Mosquito Screens and Scissor Gates for Residential and Commercial Properties. As well as painting and other reformations, we also do repairs and work with many management companies. Genuine opportunity for SELF EMPLOYED FITTERS with a good track record on the Costa del Sol needed for our rapidly expanding business Requirements: Own Van capable of carrying 3 to 4 metre Awnings, Security Shutters (Persianas), Blinds and Mosquito Screens. Must have own tools. NO TIME WASTERS – Competence and reliability is a requirement! Cars need gasoline; fish need water, and you? You couldn’t live without design. But not just any design — design that’s so well done, it is emotionally engaging, makes people swoon. So, you’ll be happy to know Global products Europe SL is out to hire a Graphic Designer to join our creative team in Spain! We are looking for a talented, result-driven, customer-focused design maven who not only dazzles with their design skills, but also is a multitasking, collaborative, detail-oriented, and dedicated—and let’s not forget fun loving—genius! Passionate about design? Thrilled about creating innovative, cutting-edge, yet fun shopping experience? Let’s talk! Your primary focus will be to design and deliver visually compelling marketing creative on time and on-brand. You’ll take a vital role in enabling our business through developing innovative solutions for our marketing materials, such as in-store graphics, graphic design for trade brochures, brands and packaging, mail order catalogues newsletter campaigns, promotional pieces, ads, blog/editorial content, social contents…and more! • Present design work to various teams including but not limited to Creative Director, Marketing & Business shareholders. Understand and skillfully incorporate their feedback to design while maintaining design integrity and quality. • Review & evaluate work-in-progress designs on a daily basis and provide timely and constructive feedback to the Creative Director. • Work closely with project shareholders, help concept and execute marketing campaigns and testing plans. • Assist and contribute to the planning and development of seasonal design direction and drive its implementation to monthly/weekly creative campaign deliverables in cahoots with the Creative Designer. • Stay on top of design trends for our target market. If you’ve made it this far, you probably want some more background on Global Products Europe SL. (GPE) Not a prob! GPE is an innovative, rapidly growing wholesale distributor and brand creator of well-being products. Recently we have expanded into the retail sector in the UK and Ireland. And acquired an established mail order and magazine company..and that’s just the beginning of what’s up our sleeve. GPE is based in the lovely white village in Mijas, Malaga, Spain…you would be expected to live locally and we would assist the successful applicant to do this. By combining this eye for innovation with a fun-loving group of employees whose culture centers on passion, entrepreneurship, and monthly fun meet-ups, GPE is furthering its current success! Show and Tell, this is not the time to be shy! *) Gemini Courses are currently seeking native, qualified and experienced teachers of English and Spanish to join the team. We have several teaching opportunities available from evening classes for adults to one-to-one lessons for children as well as corporate language teaching to businesses/business people and the teaching of GCSE and A Level Spanish. Applicants would ideally need to be located in the Costa West area (west of Estepona) and lessons will take place in a variety of locations. Please send your CV and cover letter with the times you are available to Sarah Spencer. 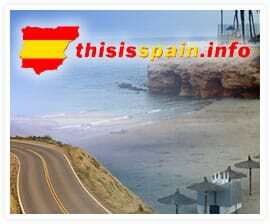 *)The owners of ThisIsSpain are launching a new project. We are looking for a number of key people throughout the Costa del Sol, Mallorca and the Canary Islands (not La Gomera). The project will last until 20th December 2014 (potentially longer). Spanish is not vital (although very useful) and Swedish or Norwegian would be a plus. Fluent English both written and spoken is however absolutely essential. Please send a CV in Spanish or English asap. I get paid to Sparkle!! I came to Spain and started the Dare 2 Dazzle Jewellery business 4 years ago. I get paid to sparkle and so can you. All I do is show my jewellery box to women and the jewellery sells itself. The commission is 25% from day one. Call me if you are interested and want to hear more. I will have a gift for you just for meeting with me to hear about the opportunity. Vil du arbejde i Sydspanien? Salgs- og mødebookingkonsulenter søges til fuldtidsstillinger med fast løn og ordnede forhold. Har du erfaring med salg eller mødebooking, eller lyst til at arbejde inden for området? Og vil du gerne kombinere dine evner med at arbejde i udlandet? Vi søger lige nu dansktalende salgs- og mødebookingkonsulenter til at arbejde med stærke og kendte danske brands. Infonordic er beliggende i Torremolinos på Costa del Sol, og vi beskæftiger mere end 65 nordiske medarbejdere i alderen 20 til 65 år. Infonordic tilbyder dataindsamling, salgs- og marketingkampagner, mødebooking, seminar-invitationer, inkasso, kendskabsanalyser, kundetilfredshedsundersøgelser, rekruttering til kundepaneler og fokusgrupper, e-mail kampagner m.m. Fra vores hovedkontor i Málaga, gennemfører vi mere end 1.000.000 interviews i Norden om året. Alle interviews udføres på dansk, svensk, norsk eller finsk modersmål af vores erfarne medarbejdere. Vi er over 65 ansatte og forventer at øge antallet af medarbejdere betragteligt i 2014.